The ITER neutral beam systems (heating and diagnostic beam) will be equipped with large Radio-frequency (RF-ICP) driven negative ion sources. The source design is based on a 1/8 prototype source developed at IPP Garching. In 2013 the ELISE test facility equipped with a half size source started operation. ELISE represents an intermediate step of the R&D roadmap of the European ITER domestic agency F4E for the ITER neutral beam injection systems. Goal of the ELISE experiment is to validate the source concept and to gain experience with beam extraction at high power from an RF source with ITER relevant dimensions. The beam and the plasma are characterized by a large variety of diagnostics permitting to better understand the relevant physical processes and how they are linked to the source performance. Cs conditioning and distribution have been optimized in order to achieve high ion currents which are stable in time. The paper focusses on the presentation of the latest results achieved and the challenges with special focus on deuterium operation for pulses up to the required time of 1 hour. Prof. Dr.-Ing. Ursel Fantz studied physics and received the PhD in engineering from the Universityof Stuttgart, Germany, in 1995. 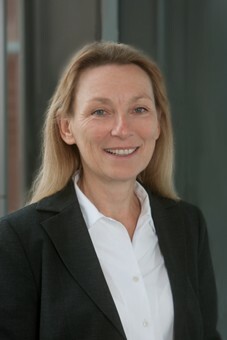 Since 2010 she is Division Head of the ITER Technology and Diagnostics Division of the Max-Planck-Institute for Plasma Physics, IPP Garching, Germany. Her main field of interest is low temperature plasmas physics with emphasis on the negative hydrogen ion source development for the neutral beam systems of fusion devices, in particular to ITER. Fundamental research is carried out at several laboratory experiments at the University Augsburg where she became a Professor in 2008.